Description: The white chamber pot has a handle and a white cover with brown designs. Lid and pot are from different sets. Manufacturer: "W.H. 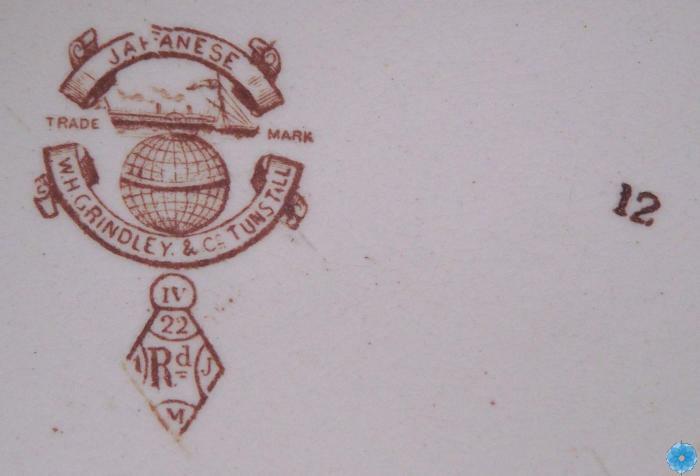 Grandley & co." / "Wm. Adams & sons."